In a world that has become globally linked, a search for a regional and local identity is on the rise – especially when it comes to food. The desire for traceable products is increasing, and it comes alongside a health-driven outlook that embraces organic food producing. 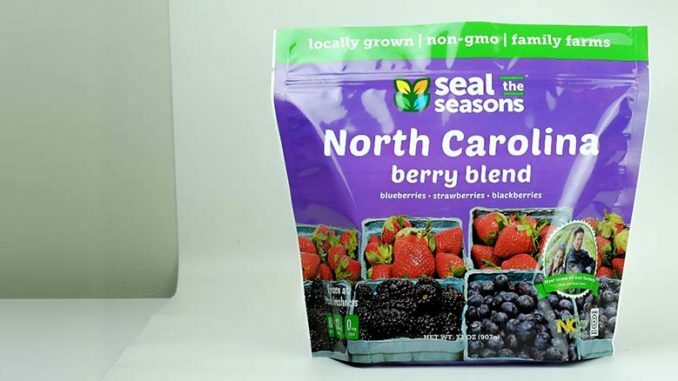 A company responding to this growing need is North Carolina-based Seal the Seasons, which was founded in 2014. The firm partners up with local farmers from around the country to freeze the best of every community’s food in season, so consumers can have access to local fruits and vegetables all year round. 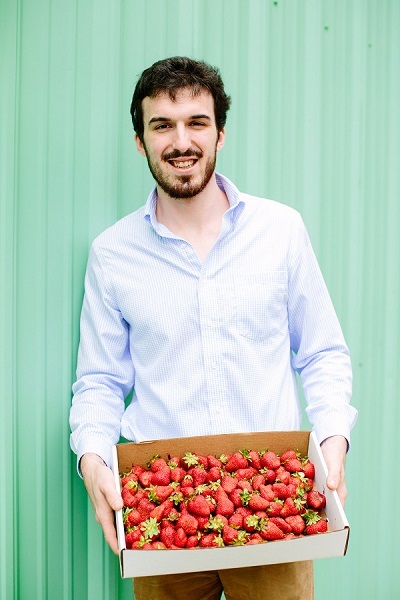 Frozen Food Europe recently had a talk with Seal the Seasons’ founder and CEO Patrick Mateer, who at 24 was named one of Forbes’ 30 under 30 Social Entrepreneurs. 1. 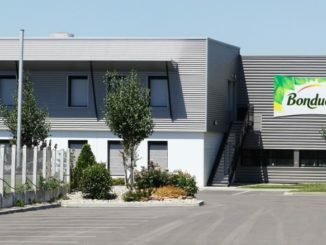 What was the context that led to the creation of the company? Peter Mateer: I was working at the farmers’ market during college. I saw how consumers loved the delicious, high quality local fruits and vegetables that had been harvested as fresh as possible for the market. I got to work alongside the farmers and saw they had extra fruit and vegetables to sell but didn’t have another outlet beyond the farmers market to sell the product. At the same time, all this delicious local food was only available a few weeks a year during corn season or strawberry season or during the fall broccoli harvest. I decided that if I could freeze the food and bring it to the grocery store, I could help both eaters and farmers. I could bring the delicious produce everyone loved to their freezers year-round, and I could help local family farms grow more healthy produce and have another market to make their business stronger. 2. What are some of the benefits of frozen locally-grown produce? Full flavor and highest quality fruit – Seal the Seasons works with some of the best farmers in each part of the country. They have a passion for growing the best fruits and harvesting at the peak of ripeness. Lowest carbon footprint – seal the seasons partners with grocers to bring shoppers the closest possible frozen locally-grown fruit. Our fruit has the lowest impact on the planet. We have to think sustainably about every food item at the grocery store! Support your local family farmers – we build our supply chain so as much money as possible goes back to local farmers and stays in the local economy. Buying local helps farmers stay in business and creates more jobs in the community. Trusting the source of your food – it should be the expectation to know where all your food comes from. Seal the seasons wants to be as transparent as possible with our consumers to tell them exactly where their food comes from, so they can trust our product for their families. 3. Can you provide some information about your product portfolio? Seal the Seasons has a slightly different product portfolio in different parts of the country! Our product portfolio is usually blueberries, berry blends, peaches, cherries, strawberries, and some special regional blends depending on what is available. 4. In which markets are your products currently available? Seal the Seasons is currently available in ShopRite & Whole Foods in the Northeast, Harris Teeter, Lowes Foods, Ingles, Food Lion, and Whole Foods in the southeast, Meijer in the Midwest, Safeway Albertsons in Oregon, and Safeway Albertsons in Arizona and New Mexico. We launch with our first California grocery partner soon. 5. Please provide some insight into the consumer behavior related to your specific product category? Consumers love to eat frozen fruit because freezing keeps the best flavor and its convenient always in the freezer. They usually use it to make healthy smoothies, bake blueberry pancakes, tasty muffins, or to mix in with yogurt and granola. 6. What are some of the trends that you have noticed related to the segment of frozen products in which you’re currently active in? Manufactures have been increasing unit sizes because consumers have been trading up from small bags to large bags of frozen fruit. Consumers want frozen fruit that’s always available in their freezer. Organic has been growing more slowly in frozen fruit. 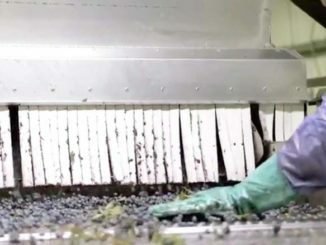 Consumers are more interested in the highest quality products, or unique blends of frozen fruit. 7. You recently partnered up with Cahoon Farms in Wayne County. Can you share more info about what plans for expansion you have for 2019? We partnered with Cahoon Farms on New York cherries and New York apples. In 2019 we plan to expand into more grocery stores in the local regions we currently operate. We want to make locally grown food available to everyone, not just high-end shoppers! To this end it’s important we keep our produce affordable. We also plan to partner with family vegetable farms to bring locally grown produce to the vegetable section! Watch for locally grown frozen vegetables later in 2019. 8. Why, do you believe, it’s important to buy produce locally? Personally, encouraging local is important to me because I believe in supporting family businesses and a local economy. It’s important we keep our dollars in our local economy to create more local jobs and have a better living for our families. As an eater, I love having the same taste I get when I pick my fruit on the farm, in my freezer year-round. 9. Would you say your company has brought any innovations in the frozen fruit sector? Our innovation is a local supply chain that creates the best possible flavor in the frozen fruit section. No other frozen produce company tells consumers where their product comes from or puts pictures the consumers local farmers on the package. 10. You recently won a Specialty Food Association 2019 Leadership Award. How did this achievement impact the company as a whole? The award was a great recognition for the entire company. We’re really excited that the industry is recognizing the innovation of our local supply chain. 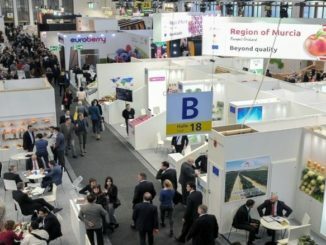 The award really impacted the company because we’ve received increased interest in partnership and collaboration from established players in the natural products space! More to come in 2019!